It's funny how you change as you grow up. 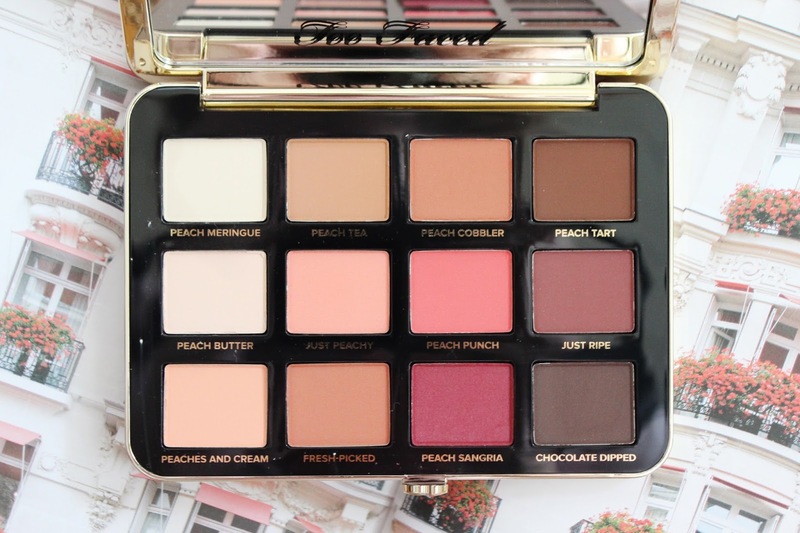 Once upon a time, I would have gone crazy for the Too Faced Just Peachy palette. Some combination would have been on my eyes every day, and I would have talked about this about 10 times over already. But recently, I've been wearing maybe one to two colours max on my eyes at a time. It may be because I'm getting up at 5:30 for work and doing a more colourful, intense look doesn't seem appropriate for an 8 a.m. start time, or because I'm just lazy. That's not to say I don't love this palette, it's just that I've used it less than I thought I would. 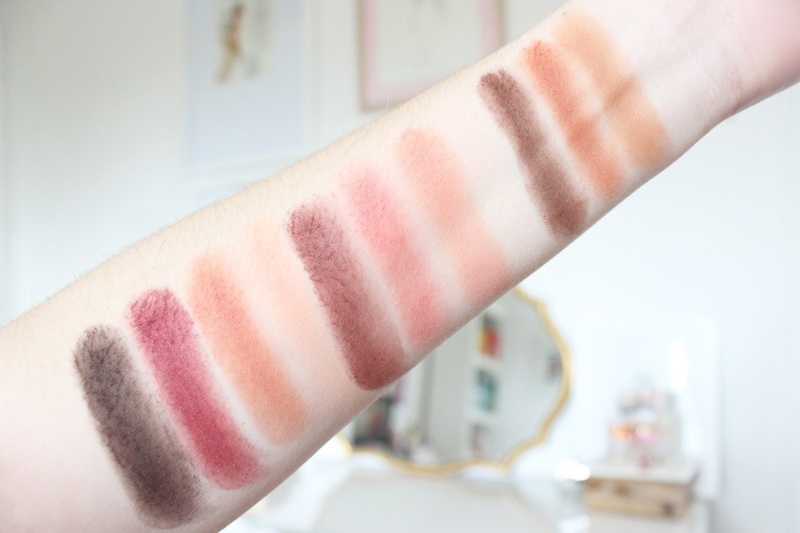 Keep reading to hear my entire thoughts and see swatches! 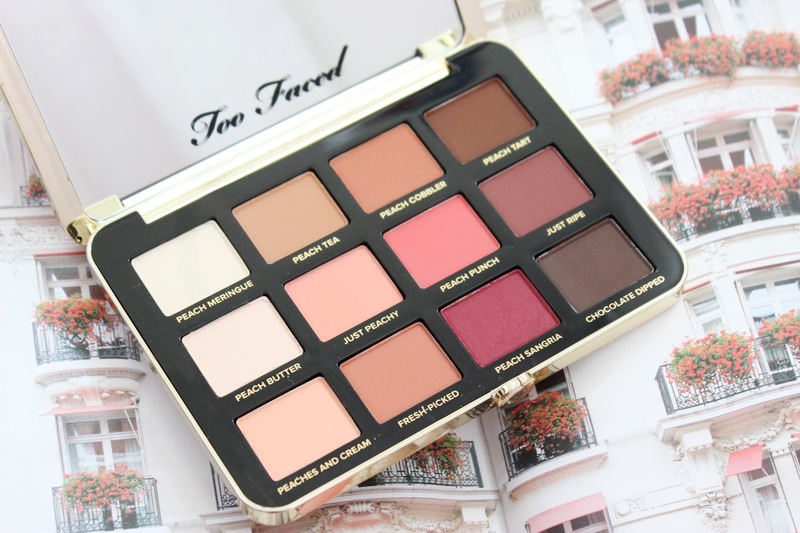 I absolutely loved the Sweet Peach palette Too Faced brought out last year because of the quality of the shadows and colour selection. So needless to say I was biting at the bit to get my hands on this beauty. 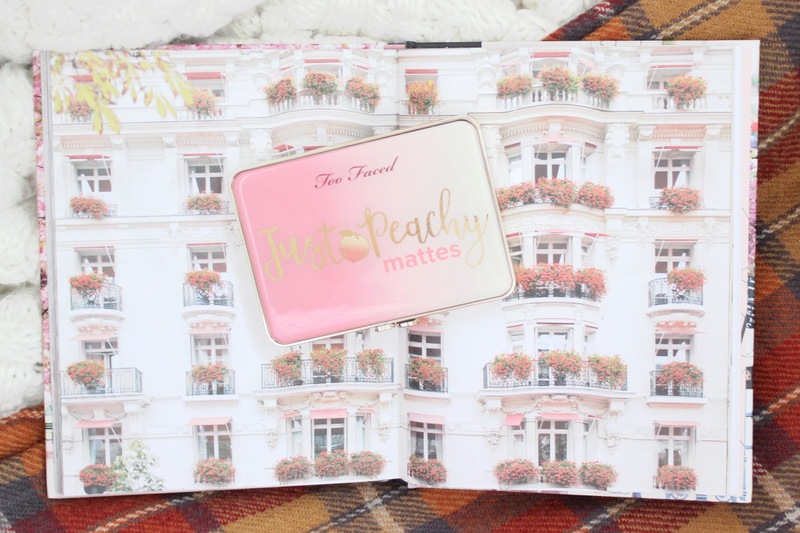 All the colours in the Just Peachy palette are matte, and keep with the warm-toned, peachy nature of Too Faced's iconic range. As you can see in the swatches above, the colours are vibrant and gorgeous. Each one above was only one swatch of my finger. But because I'm so pale, the colours are almost too pigmented for me. I really need to blend the edges out when I use this palette because they show up so much on my snow white level pale skin. But I can imagine this palette would be a dream on darker skin tones. The colours come off true to pan and are very warm toned. I would say I would have liked a bit more variety in the palette, like the Sweet Peach which had greens, peaches and purples. I found the colours in this palette a bit more repetitive, but still beautiful. You can great a really natural look with the top row, or add some fun and vibrancy with the Just Ripe and Peach Sangria. I'm not at all surprised that the quality of the shadows are gorgeous. With the exception of the Chocolate Chip palette, Too Faced is consistently good. They are buttery and very easy to blend, with little fallout. I would probably recommend putting on your eye makeup before foundation, but that's something I usually do anyway, just in case. Overall, I really like this palette. Because it's matte, it's a great staple to have. You can use it as-is or add some shimmer or glitter to create an even more complex look. 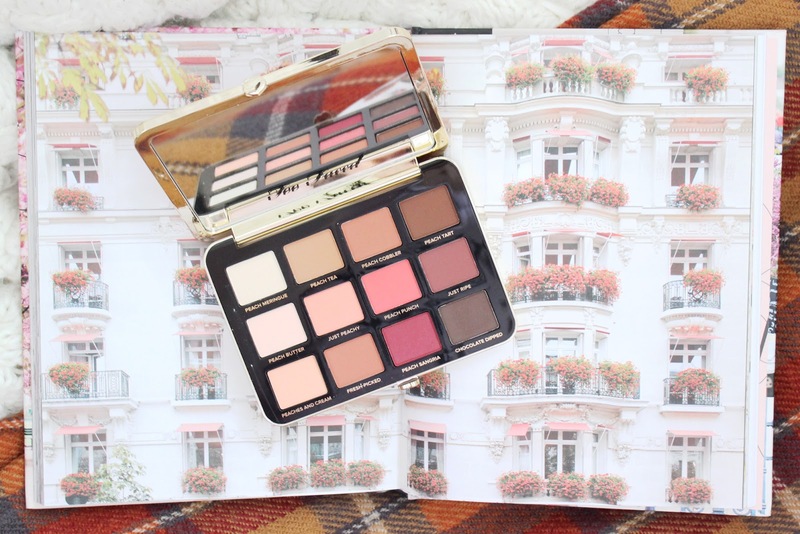 I think if you're a fan of warm-toned shades, then you need this palette in your life!